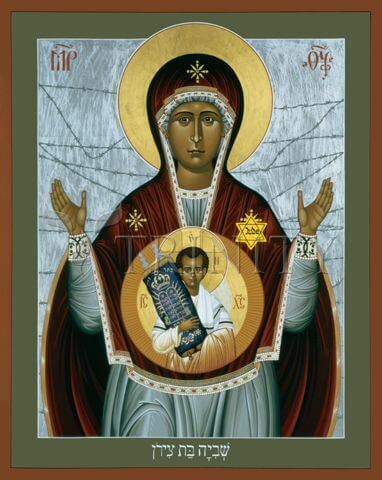 The woman clothed with the sun is Lady Zion, heavenly Jerusalem the “mother of us all” (Gal. 4:26). This Mega sign appearing in heaven has mega significance. Via the Incarnation God the Son is birthed by Daughter Zion (Mic. 4:10; Rom. 8:29), Jerusalem above the mother of the People of God (Gal. 4:26; Heb. 12:22) the “holy city” (Isa. 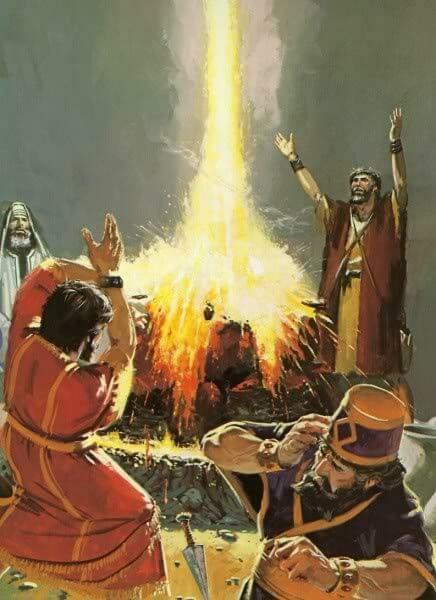 51:1) where the chosen of God (Isa. 60:14) live in God’s light (Zech. 8:3). Sun and moon rule day and night (Gen. 1:26) implying God’s truth is the light that separates and determines what is light or dark and it is the standard by which all deeds will be judged, whether done in light or darkness. As God’s light comes through Israel and the Twelve tribes the Sun, moon and stars are associated with them (Gen. 37:9-10) and Daughter Zion. 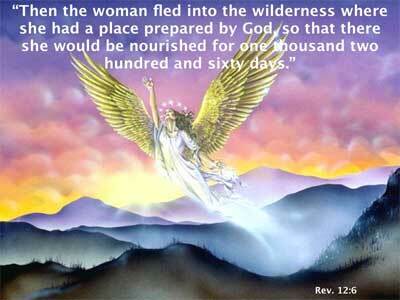 Because she is birthing the child unto persecution by the Dragon she is in pain and torment (Jer. 4:31). Great red dragon is murderous Satan whose collaboration with men and their political entities facilitates his rule over the earth against God. As the greatest manifestation of Satanic/human conspiracy against God is in the end time political entity having seven heads and ten horns (Dan. 7:24-27), the seven crowned heads and ten horns become the cosmic Dragon symbolizing Satan throughout history. Chronologically this event happened when a third of heaven joined Satan’s rebellion and tried to corrupt the image of God in man genetically with their own DNA(Gen. 6:1-4) and so prevent the Incarnation/Redemption of mankind. Satan convinced a third of God’s angels God erred (Job 1:5-11) which requires God disqualify Himself as God for then He is imperfect*. We can infer from the application of this argument to Job that Satan originally argued “true love for God doesn’t exist, therefore God erred creating free will creatures believing they would enjoy life with Him in perfect love.” The greatest refutation of Satan’s argument is the perfect love evident (for both God and man) in the incarnation of the Son (Phil. 2:3-8). Likely this indicates why Satan and his demons choke when trying to say “Jesus Christ is come in the flesh” (1 John 4:2). Skipping Christ’s crucifixion shows this is telescoped prophecy revealing the constant warfare of Satan against the woman’s seed (Gen. 3:15-16). The telescope then focuses on events at the beginning of the end time week. We can infer the original argument Satan made against God was “He is imperfect and therefore should disqualify Himself from being God.” Only a perfect Being can be God. Self projection made it inconceivable to Satan and the fallen angels the argument was unsound. Thieves cannot believe others aren’t thieves also under the right conditions. As Satan and his angels discerned iniquity in their service to God (Ezek. 28:12-15) they couldn’t believe it didn’t exist in others. The bet everything they were right. God permitted Satan a chance to prove his argument. No doubt he found it impossible to believe God the Son would forsake infinite prerogatives of being God for love’s sake. That Jesus would go further, die the most horrible death (Isa. 52:14) to save others who didn’t deserve it at all, was simply too incredible to be true. Therefore, the Incarnation of God the Son empirically proved Satan wrong, by two witnesses it is established beyond any reasonable doubt true love exists. The time clearly is near.